Anytime Fitness Irish Junior Open took place at Sutton LTC. 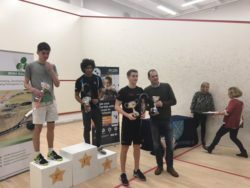 The biggest Junior event on the Irish Squash calendar which seen a huge entry, some great duels and super squash all weekend. Results below. Matches are available to watch on Irish Squash YouTube channel. Irish Squash is delighted to announce that Anytime Fitness are the title sponsor of the Irish Junior Open 2017. Anytime Fitness is the world’s largest gym chain with gyms in Ireland at Kilmainham & Dún Laoghaire. Anytime Fitness is open 24 hours, 7 days a week. In Anytime Fitness you will find fantastic amenities, world class equipment, free classes and professional staff. Every member receives a free peronalised training plan when they join to help them along in their fitness journey. 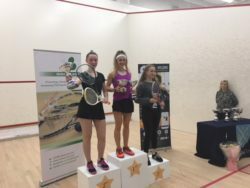 The Anytime Fitness Irish Junior Open took place on the 24th to the 26th of November in Sutton LTC and ALSAA Sports Club. 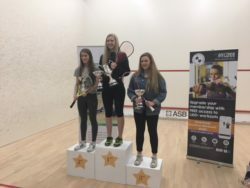 With the opening of two new courts in Sutton there are now 5 squash courts that showcased great squash for spectators.